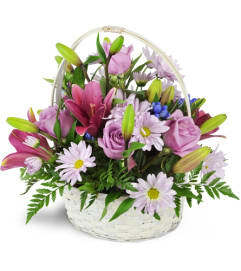 This sensitively understated sympathy garden basket adds a classic touch to any remembrance service or visitation. Always appropriate and well-received, this touchingly simple arrangement of fine greenery offers an assortment of seasonal blooms plus a beautiful yellow bow. 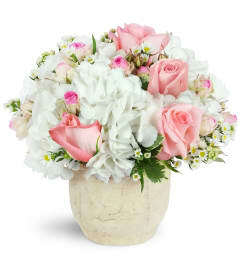 The rustic basket evokes memories of home. 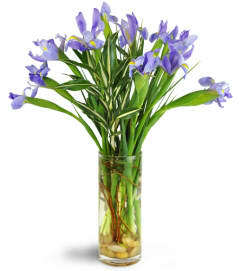 Appropriate for men or women of all ages. 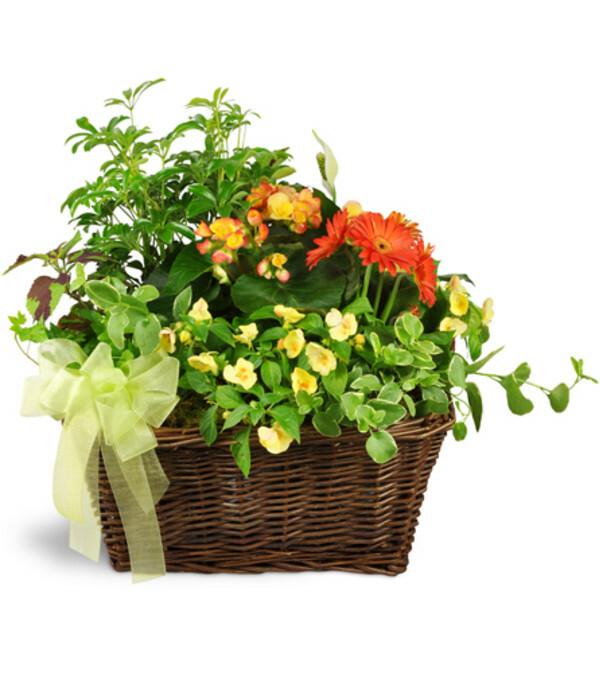 This touching sympathy gift features five green plants and five blooming plants in a sympathy dish garden arranged in a rustic basket with a large yellow bow.